Home alarm clock belonging date digital sports watch digital watch hi-tech watch Mall malls things to buy time watch A Digital Sports Watch! Two weeks ago, I bought a digital sports watch in one of the prestige malls. Above is how it looks like! 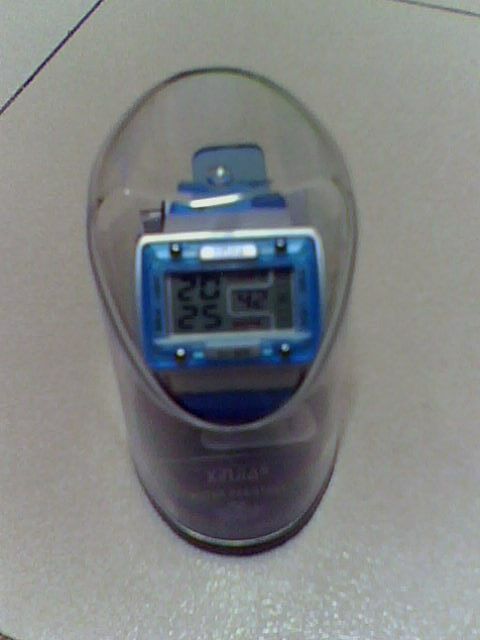 That said digital watch is extra-ordinary. Yup, it's a hi-tech watch. Or should I say, it's a complete watch?! Besides telling the exact time in hours and in minutes, it also gives the actual hours in second. And it has a complete date! Yeah, this watch also shows the current date, the month, the week, and the day in digital format! You can adjust it depending on your desire! Nice! What more?! It has an alarm clock! Yup, you can set the time or date to alarm you of your important set time or date! Of course just like the ordinary watch, it also has a timer.